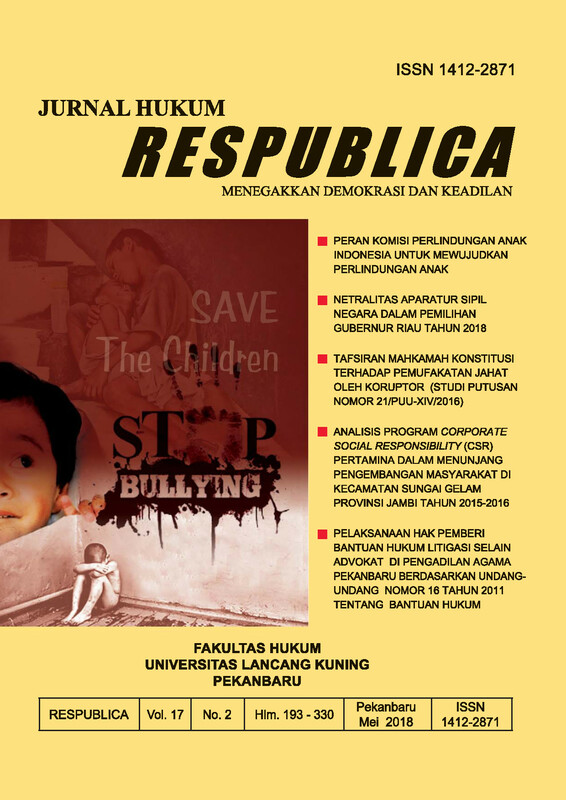 Welcome to the official website of Jurnal Hukum Respublica. This website provides journal articles for free download. Our academic journal is a source of reference both from law academics and legal practitioner. Jurnal Hukum Respublica is an academic journal for Legal Studies published by Journal and Publication Unit of the Faculty of Law, Universitas Lancang Kuning (eISSN 2615-6733 and pISSN 1412-2871), this journal publish two periode in a year on May and November.